Allrecipes.com, the recipe and food site reaching 55 million consumers, is partnering with U.S. wine company Ste. Michelle Wine Estates to provide its audience with AI-powered wine pairings across its digital properties. The exclusive partnership marks the first time a Meredith Corp. property has joined with a major advertiser to create and deliver an AI-centric program. 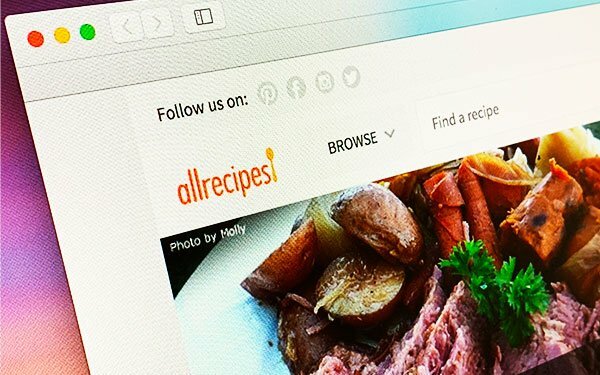 Readers visiting Allrecipes.com will have access to wine suggestions for each recipe on the brand’s site. Pairings are created through machine-learning techniques that instantly classify recipes according to appropriate vintages. Suggested pairings appear alongside the recipes. Readers are sent directly to local grocery store websites or ecommerce partners like Instacart or Amazon Fresh through Meredith’s proprietary Shopper Marketing platform. Additionally, real-time insights, like user location store proximity, impressions by channel, trending products and trending recipes, are provided through the new program. The campaign will use high-impact and targeted media like video alignments, custom native content and editorial sponsorships to boost engagement with Ste. Michelle Wine Estates across Meredith platforms. Ste. Michelle Wine Estates will extend its partnership across Meredith’s O&O assets, leveraging the media company’s scale through its investment. Jim Mortensen, President-CEO of Ste. Michelle Wine Estates, stated: "This data-driven approach represents a smarter, more impactful, results-oriented form of advertising, allowing us to reach high-value consumers at the point at which their wine purchasing decisions are made." Users can also access wine and side dish pairings through interactive meal plans that allow users customize meals.